Lord Best will officially step down from his role as TPO’s current Council Chair on 28th April 2017, after his eight-year term comes to an end. 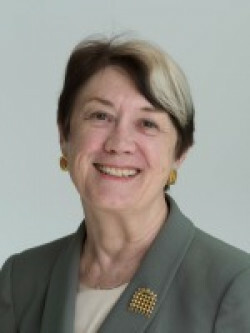 As Council Chair, Diana will lead the scheme’s independent Council to ensure the Ombudsman can act independently and impartially when reviewing property disputes. Diana’s extensive and varied career in public service was recognised in 1999 when she was awarded a life peerage. She is the current Chair of the National Housing Federation and is a Non-Executive Board Member Pension Protection Fund. Diana spent four years as the Chair of the Human Tissue Authority and spent 14 years as the Chief Executive of Universities UK, where she led the body representing the executive heads of 130 universities, both nationally and internationally. Consider cases referred by the Ombudsman for disciplinary action against scheme members where there has been a flagrant or persistent breaches of the Codes of Practice and protect consumers from unfair practices. Born and raised in Yorkshire, Diana has a keen interest in supporting the work of heritage and conservation organisations, which include The Tate, Royal Academy, British Museum, Dulwich; National Trust, RSPB, WWT. To find out more about the Council and the role of the Chair, please visit the TPO website.